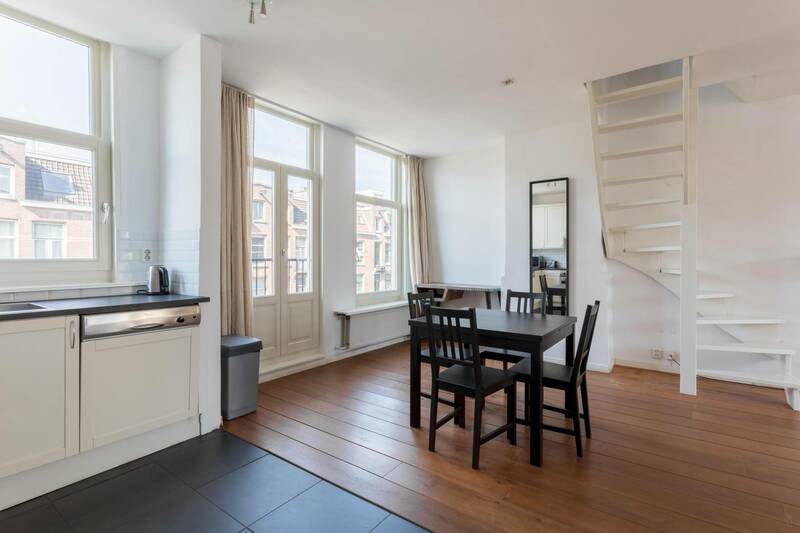 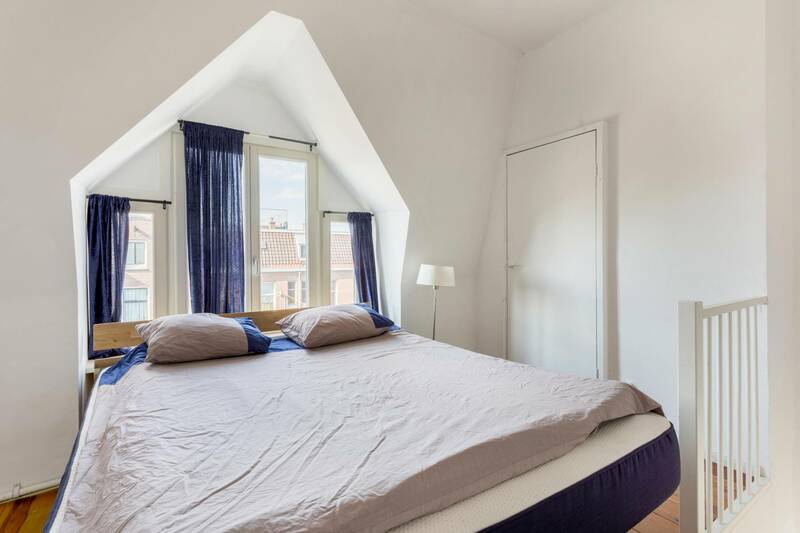 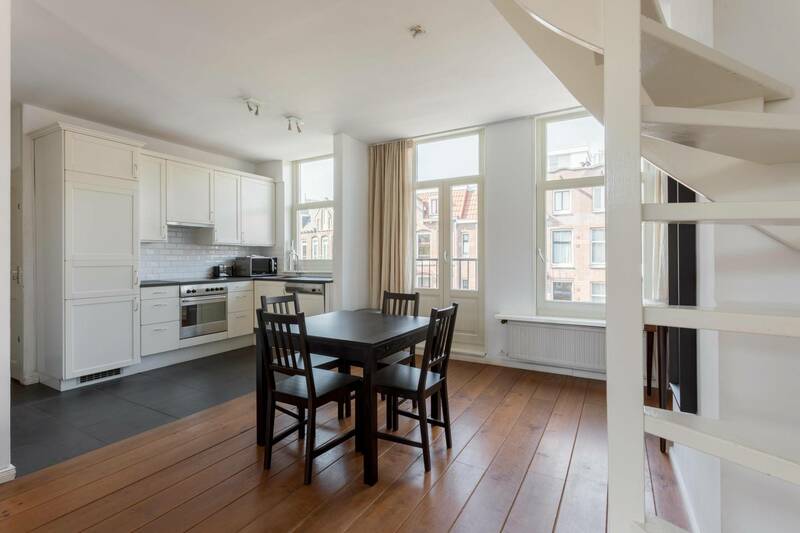 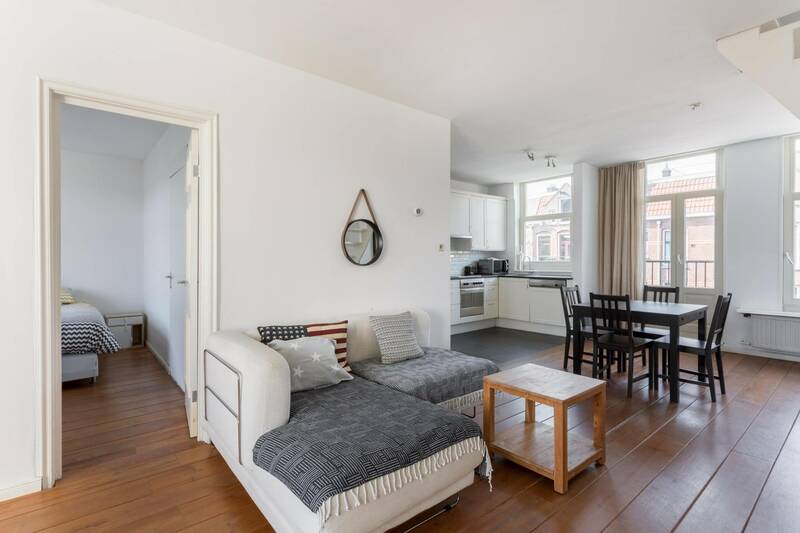 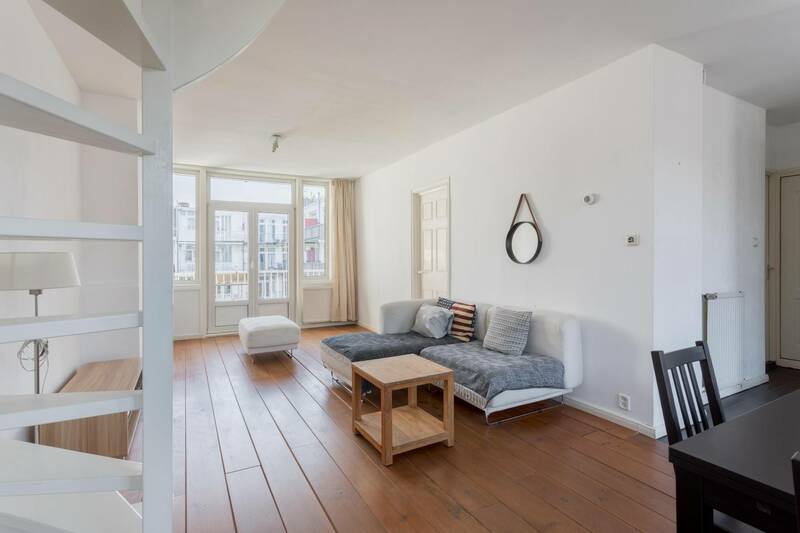 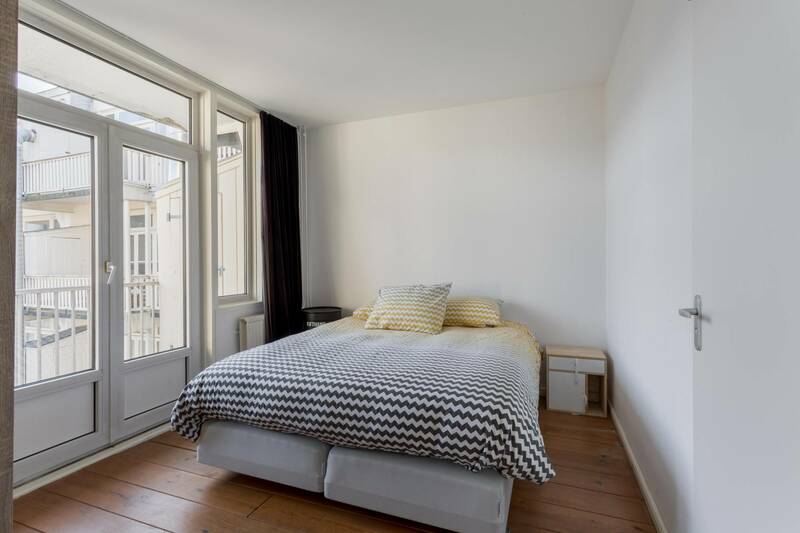 Adorning the bustling Zeilstraat in a great Amsterdam neighbourhood, this fully furnished, 2 bedroom apartment makes a wonderful city base. 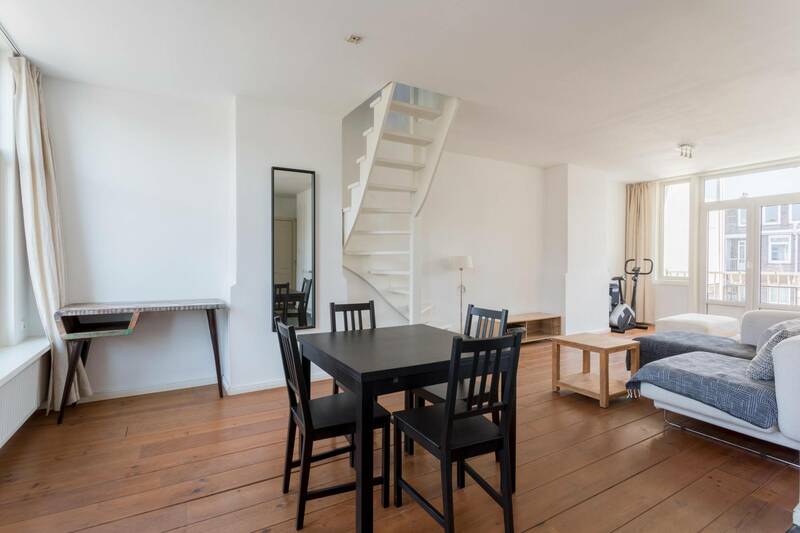 Spread across the 3rd and 4th floor and a spacious 76m2, the lodging appears bright and stylish throughout, blending wooden floors with fresh décor and all essential amenities. 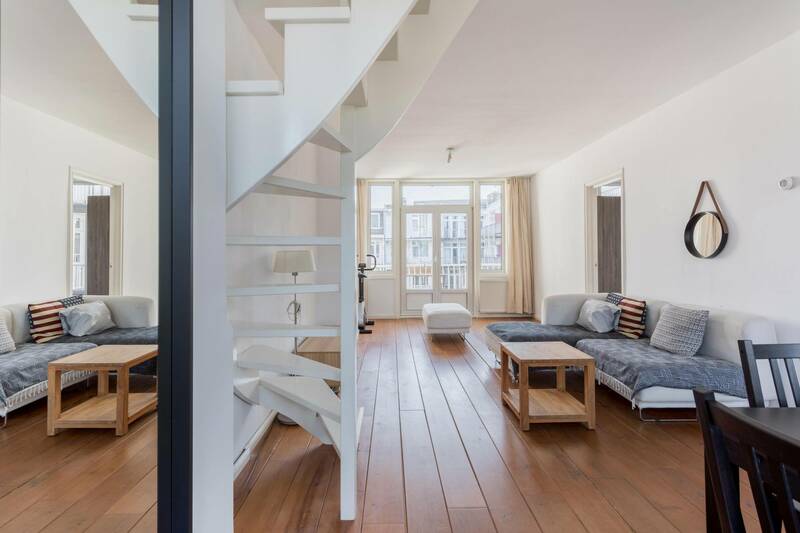 Benefitting from plenty of natural light, the open living and dining area makes the perfect spot for relaxation, providing a sofa and a dining table. 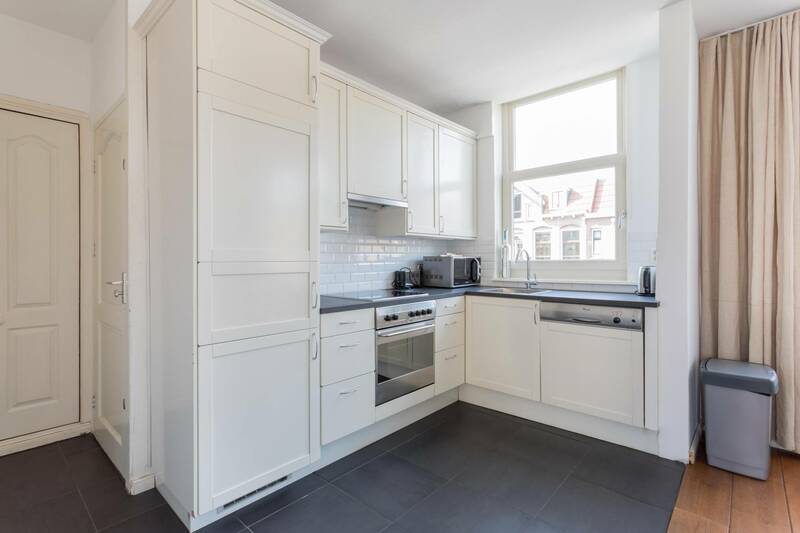 The kitchen overlooks the street’s hustle and bustle and comes fully fitted for all your culinary needs, supplying an oven, hob, dishwasher, fridge and a freezer. 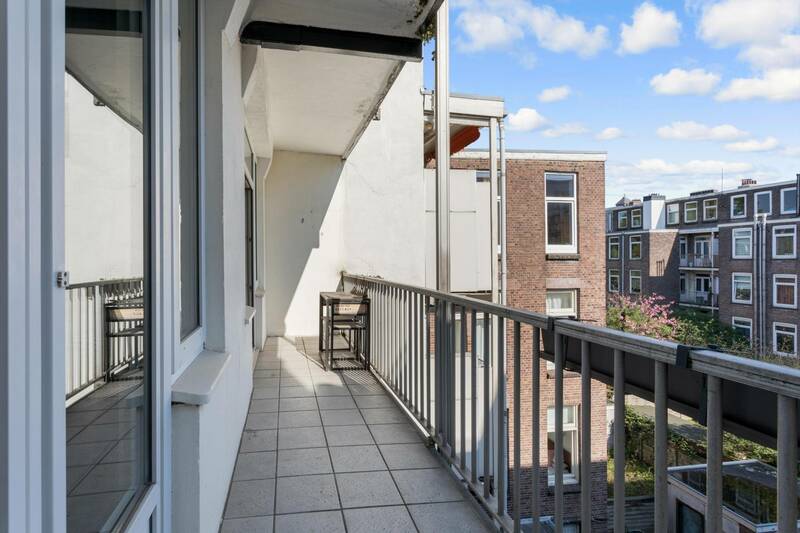 Two balconies can be found on either side of the apartment, with the south-facing terrace at the dwelling’s rear offering ample opportunities for unwinding in the sunshine. 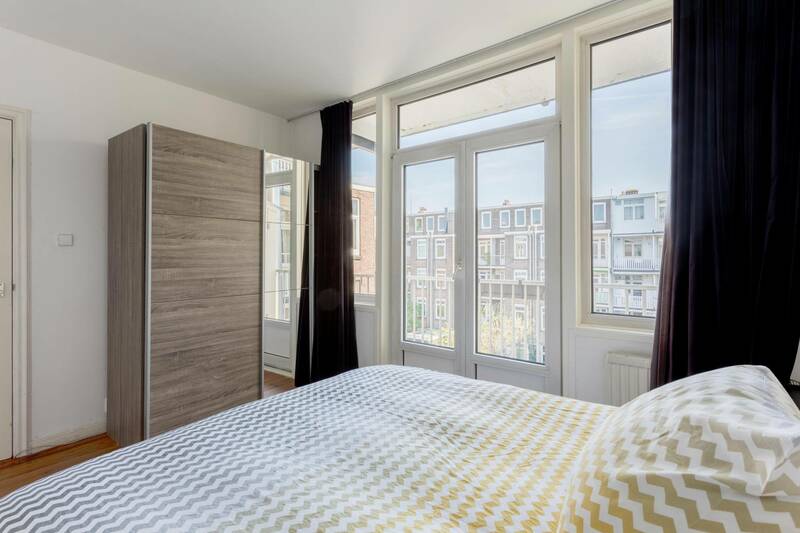 The first bedroom can also be found at the back for added peace and comfort, which houses a double bed and a wardrobe. 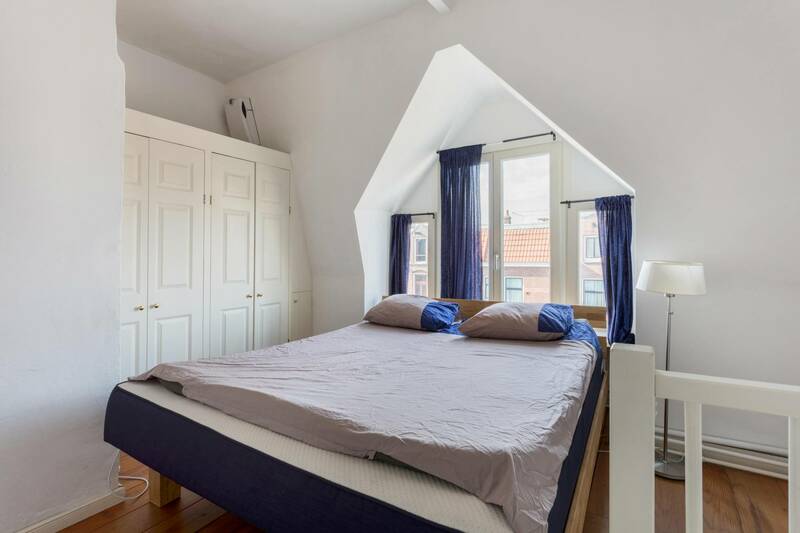 Upstairs, the second bedroom awaits, also fitted with a double bed and storage cupboards. 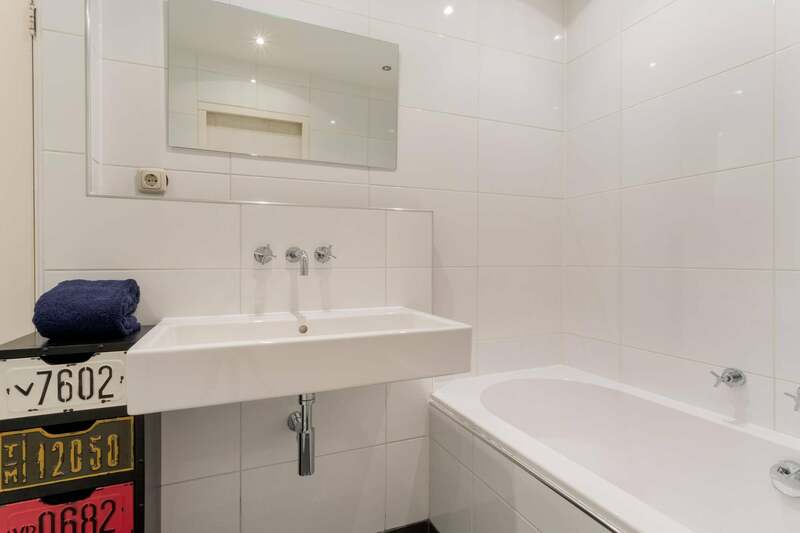 Finally, the smart bathroom completes the abode with two sinks, a toilet, a walk-in shower and a bathtub. 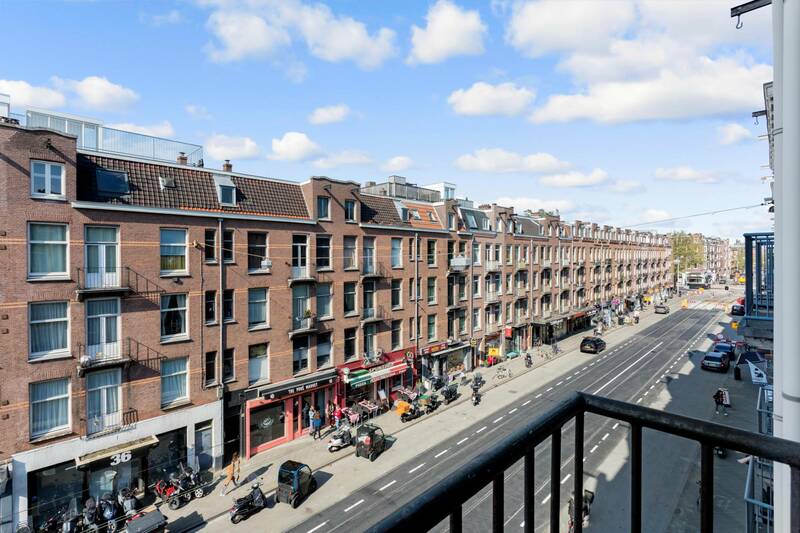 Situated in the Schinkelbuurt, south-west of the capital’s core, the accommodation enjoys both easy access to the city and a welcoming local neighbourhood. 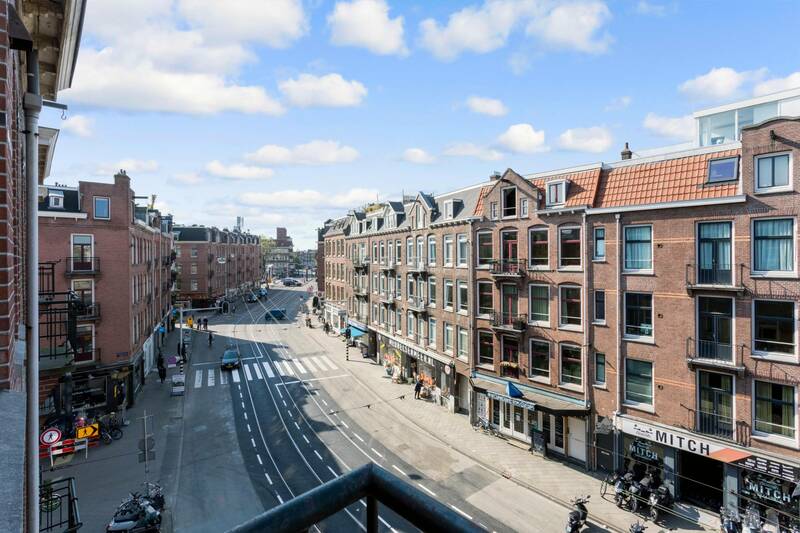 The area is brimming with atmosphere and hosts a superb selection of cafes, stores and restaurants, catering to all tastes and budgets. 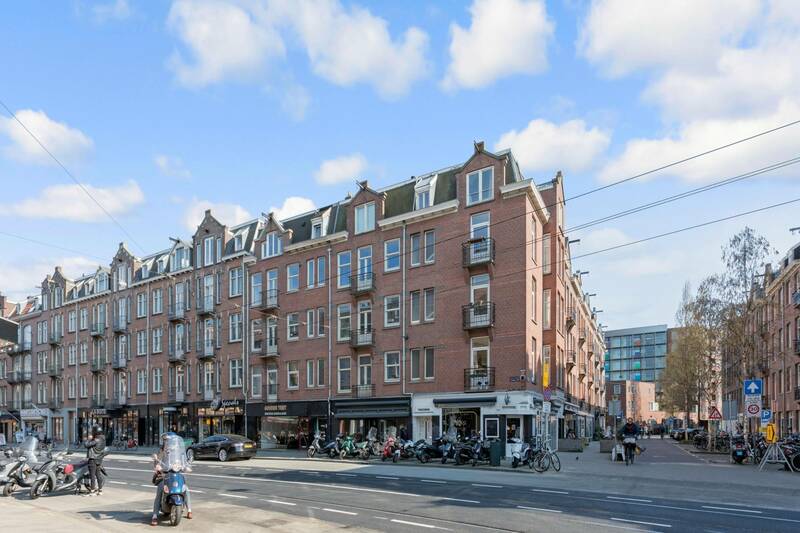 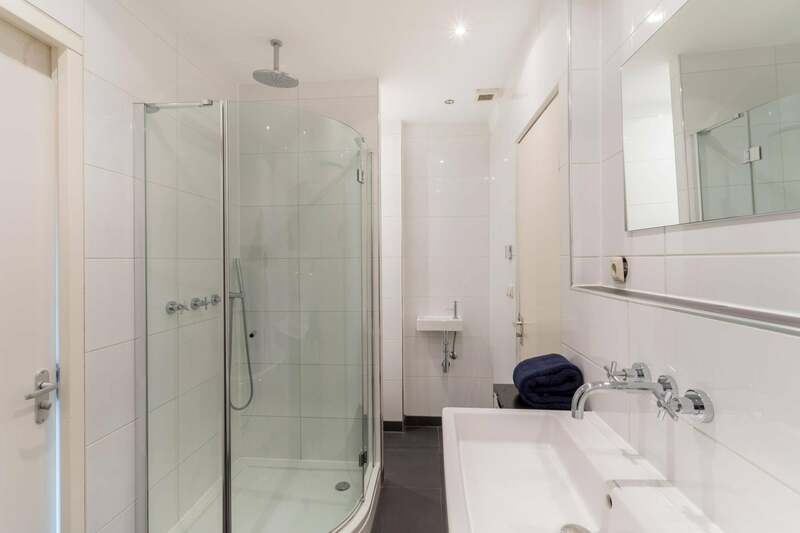 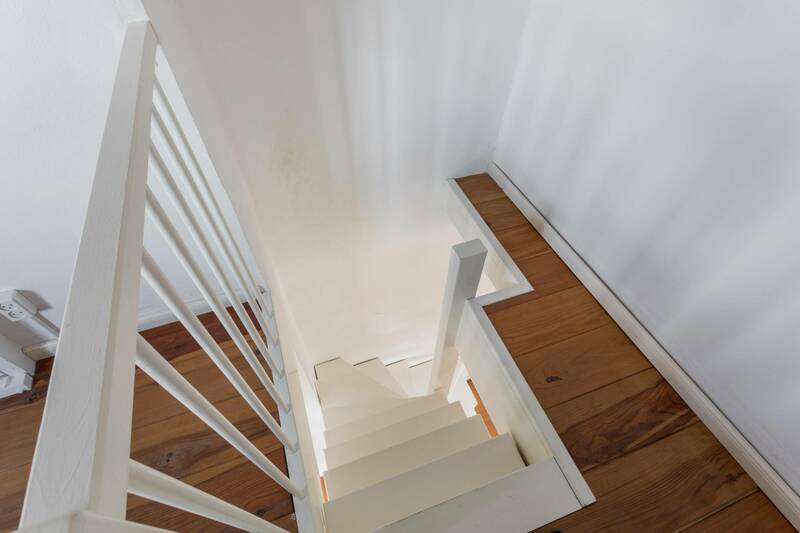 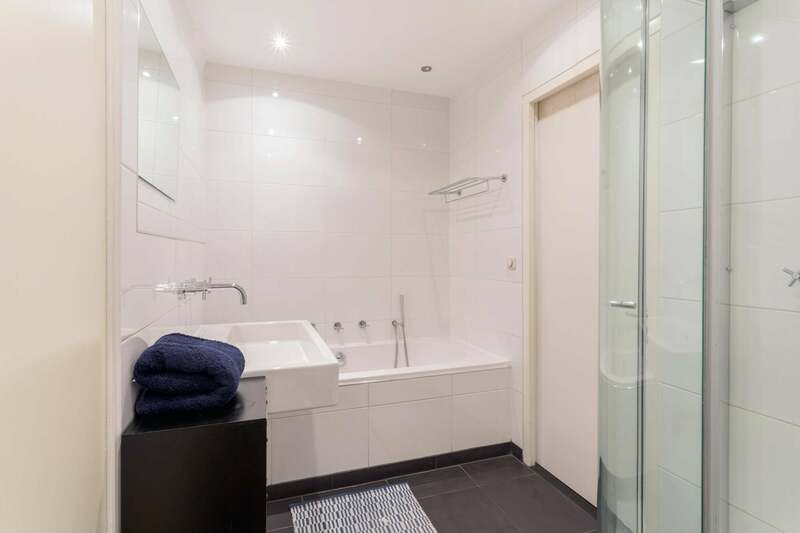 The nearest supermarket is less than 50 metres from the doorstep and a wealth of public transport links enable swift admission to all four corners of Amsterdam, with the Haarlemmermeerstation reachable on foot in just 5 minutes. 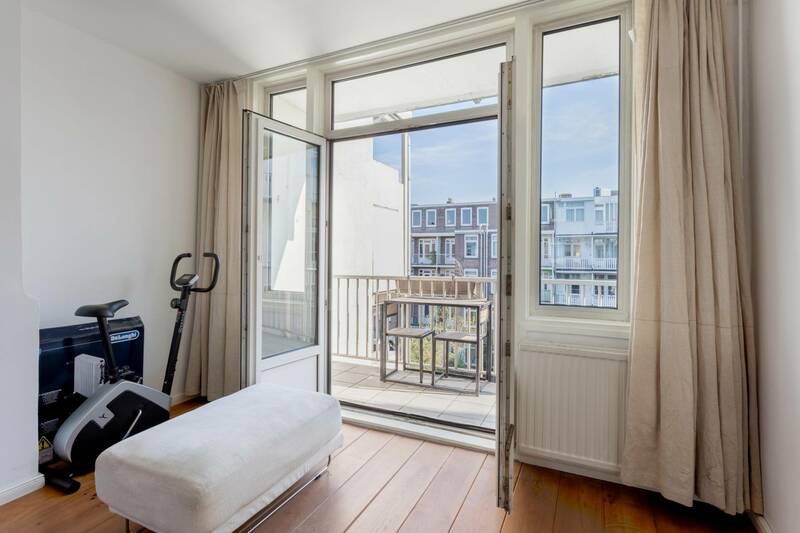 The hugely popular Vondelpark is also close at hand, and the beautiful city forest and Zuidas Business District are a brief bike ride away. 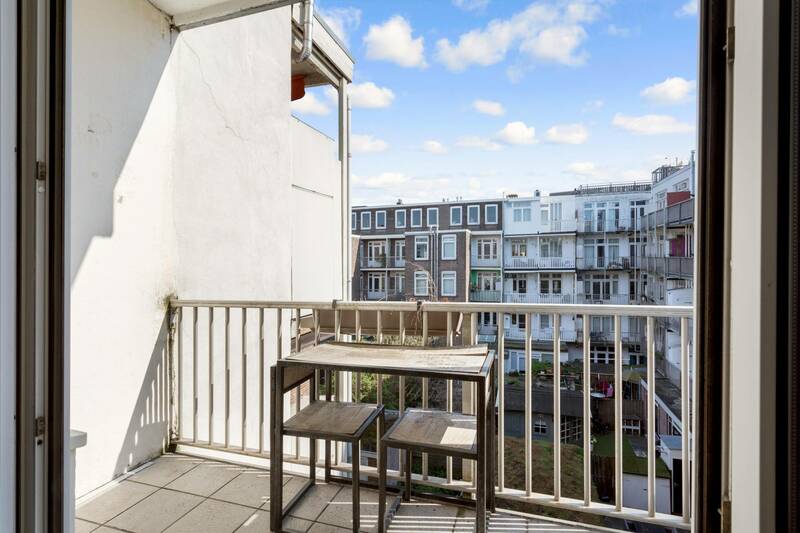 Proximity to the A10 ring road and surrounding motorway network also make this an excellent choice for car owners. 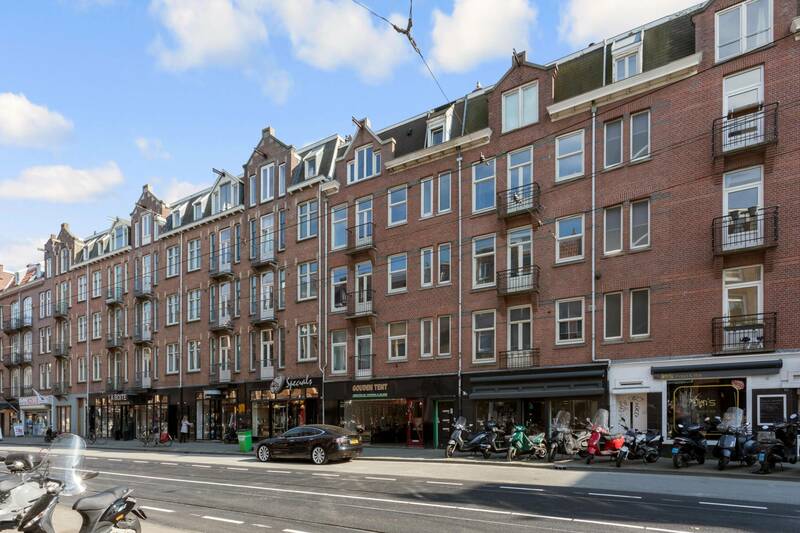 Make an appointment today to see the full benefits of this quality Amsterdam home!